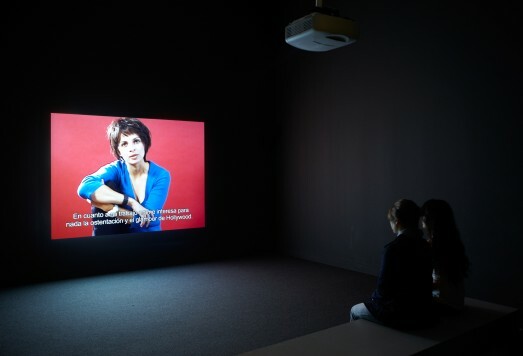 In Double, five women who nominally resemble one another reflect on subjects ranging from their impressions of Los Angeles to the project they are currently working on – apparently the very project in which they now appear. Each of these young women is, in fact, an actor who responded to a casting call for the part of a "video artist" with a physical description of Tribe. In front of the camera, they improvise monologues based on whatever impressions they were able to glean from a brief, off-camera interview with the artist.